The rule of thumb states that you can’t win the lottery unless you purchase tickets and until recently there were very few who would dare to challenge this assumption. 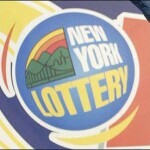 Even though it is still well-founded on rock-solid facts, a New York resident produced the exception by winning $1 million without buying a ticket. What happened is that landscaper Marvin Rosales-Martinez found the winning ticket while going about his job and one year later he cashed in the seven digit amount. Critics of the lottery frequently claimed that players should forsake this allegedly unhealthy habit and instead commit themselves to rigorous work. As far as they’re concerned, by working hard and saving money you can enjoy a carefree living without waiting for an elusive lottery jackpot. That’s exactly what Marvin Rosales-Martinez was doing when raking the leaves and he didn’t expect for one second to receive the most generous financial compensation for his effort. While others were busy purchasing tickets for the New York lottery, hoping to win the jackpot worth $1 million, Marvin was anxiously waiting for his shift to end. The good fortune was literally blowing in the wind as he discovered the ticket floating around and when he picked it up it was damp. It is only fair to assume that hadn’t Marvin discovered the ticket nobody else would and $1 million would’ve gone down the drain. 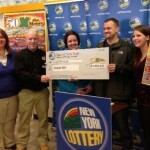 The 27 years old landscaper took the “Win for Life” ticket home to check it against the winning numbers and much to his surprise he realized that the ticket was in fact a winner. Not surprising, lottery authorities had no intention of handing him the money right away and instead lounge an investigation to determine whether he is eligible for the prize. 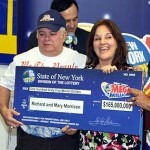 Their main concern was for Marvin being the actual owner of the ticket as there are plenty of cases of people who stole winning lottery tickets from naïve winners. Lottery officials waited for other players to step forward and claim the money but since nobody did it for an entire year, they had no reason to prolong the suspense anymore. Waiting for a $1 million check while going about your landscaping job is not something easy to do, but for Marvin this posed no problem whatsoever. He got all the time he needed to think about what to do next and when he finally received the check, he had all his ducks in a row. His story is inspirational even though players are still expected to buy lottery tickets if they have any serious intentions of winning the jackpot.